time for a new edition of “20 Minutes of Creativity” – hah, longer today as I skipped last month’s edition. Take a break for some inspiration, it is worth it, promise. The first example is a very strong one because it addresses a topic we probably all have seen/read or maybe even witnessed or experienced at least once. It is very engaging and encourages you to #bestrong. I was really overwhelmed by it and my guess would be that your reaction will be similar. It is about technology in the next example, too. Very innovative thinking of the Gatorade team, am always wondering how you can get to such ideas..? I think it is even more impressive to watch the making of, as the “normal” watcher of the ad will probably just assume it has been animated. For us in the advertising industry a technology to keep in mind. Stunning pictures. Well done. Stunning technology has been also used in the next example, My former colleagues of Coca-Cola launched the first 3D robotic billboard on Times Square ever. They worked four years on the technology and the results are breath-taking. The installation received two Guinness World Records, btw. It gives a little sneak into the future possibilities of advertising. Exciting times ahead of us! The contrary is the next example. It will show you, eehm – nothing! It is from Unilever announcing their new deodorant “Invisible World” – and nomen est omen.. Too obvious, but it made me curious to find out more. Mission fulfilled, I guess..
Social Media gives you so many opportunities to interact with consumers and to get them engaged. To give you one example, just go to Facebook and try it out to type your name into the gif search in the “comment” section. So funny – I could do it again and again as different names give you a different choice of gifs. Just think of your brand and how you could adjust this feature to your brand message.. Love it! Hope you now feel inspired! 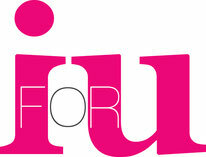 If you want to try out something new, get in touch with me under info@iforyou.eu . Am very happy to consult you and bring your exciting projects to life.